Curtis TrailersRecord Owner? Log in. Our showyard is 1 km. east of Kaladar on Hwy 7. Watch for sign. 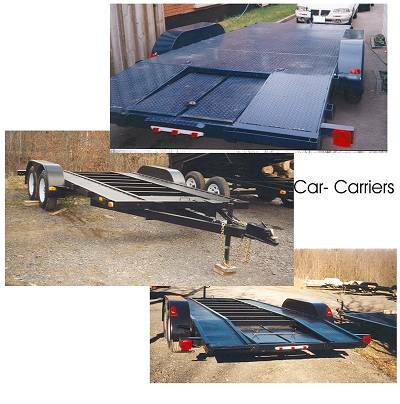 include, Landscape, Dump Trailers, Deckovers, Fully Enclosed, Car Haulers and Utility trailers. needs. 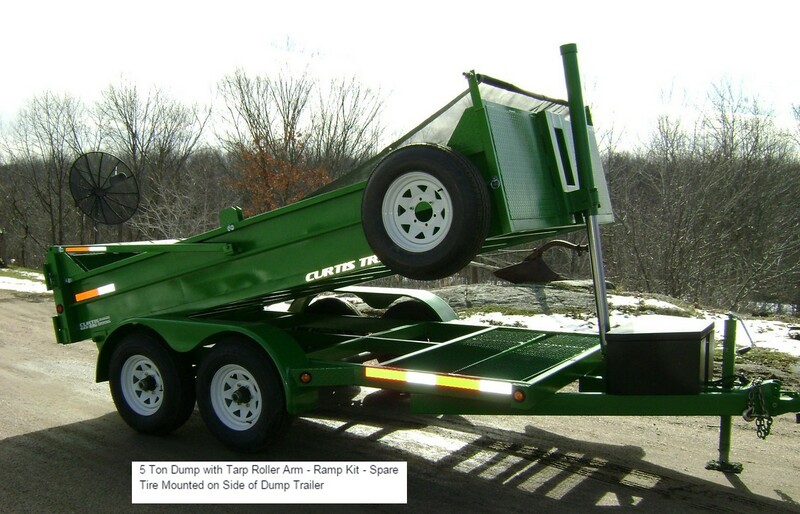 Have one of our service specialists repair and/or maintain your trailer here at Curtis Trailers. You can’t come to us; we have a mobile repair & welding available as well. Check out our facilities. Need Parts for your Trailer/Hitch? We have an extensive supply of trailer parts and if you don’t have it, we can get it at very competitive prices. Have something to say about Curtis Trailers? Chris made me a custom trailer 7 years ago. Great quality trailer , very happy . By far the best trailers out there and words don't describe the knowledge that Chris has and the information that he gives. You tell him what you want to do and he will design the trailer and ask you more questions of things you never thought of. He wants to build you a trailer that you will keep forever. Was worried because it was so hard to get a hold of him but am so happy that I purchased a trailer from him. AWESOME TRAILER AND I LOVE IT!!! Thanks Chris Curtis - great guy and awesome builder!! Thank You for your patience and assistance in helping us to realize our dream of owning one of your beautiful trailers. Certainly a Christmas Dream come true for us. 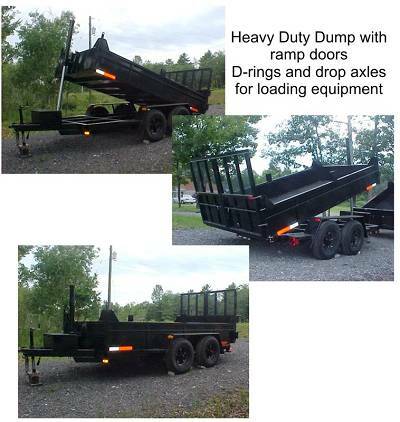 Your build one of the best trailers out there and we are happy that we finally saved up the money to purchase one! Have yourself a Merry Christmas and a Happy New Year!!! 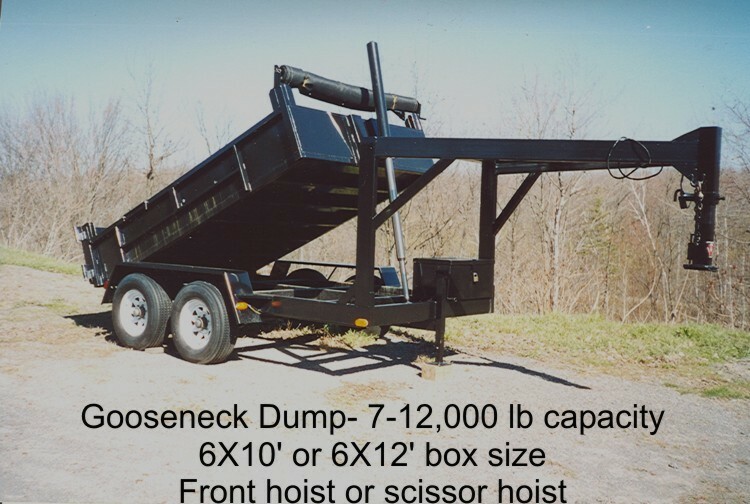 I purchased a 12 ft.(7000lb. GVWR) landscape trailer from Curtis in 2000 and the trailer is still on the road and has had no issues other than burnt out light bulbs since purchase. 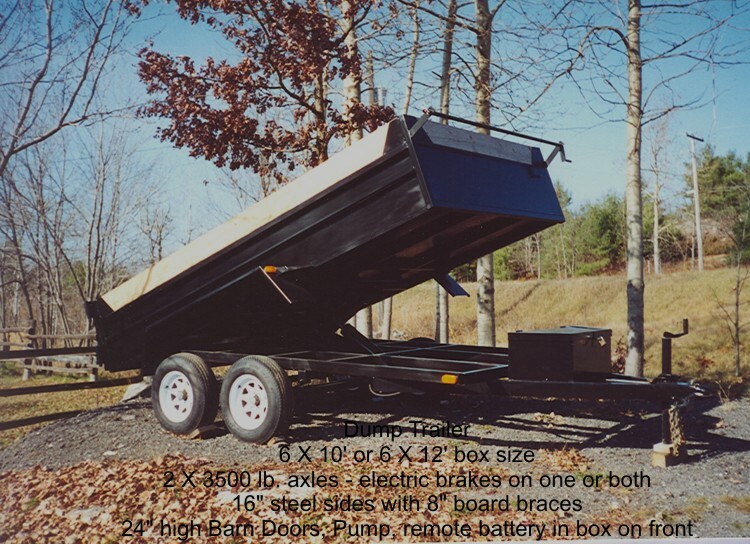 I have seen several other landscape trailers built by other companies and they can not come anywhere near the quality of construction of a Curtis. WOW, best trailer I ever bought (and I've had a few)- solid, well built, custom designed to some of my requests (NO charge) outstanding! But best of all is Chris, very knowledgeable, honest, can't do enough for you, especially after sales advice, help, customer service; he bends over backwards for you, totally dependable, trustworthy! WOW! My husband purchased a trailer from Chris at Curtis Trailers just over 2 years ago. He passed away over a year and a half ago and I couldn't bring myself to sell his trailer because he loves it that much. The time came when I couldn't stand to see the trailer that he loved so much just sitting around doing nothing. I went to talk to Chris to see if he would buy it or sell it for me. He made it so easy for me. I dropped the trailer off and in weeks the has it sold and got me more then what I would have thought I would have gotten. Then he would not take anything for selling it. He builds the best trailers and runs the business with his heart. God bless you Chris. What do you say about Curtis Trailers? This company made my purchase of a trailer so easy and Chris was full of information and had answers for every one of my questions. He built me a trailer that met my every needs. I want to thank you Chris for treating me like a someone and I look forward in doing business down the road. All of these comments don't even come close to describing Curtis Trailers because you can't describe the best! I am very pleased with my 5X10 utility trailer purchased in April. Rugged is an understatement. Excellent quality construction/workmanship. Chris just added an optional spare wheel and tailgate. After sales service is exceptional. 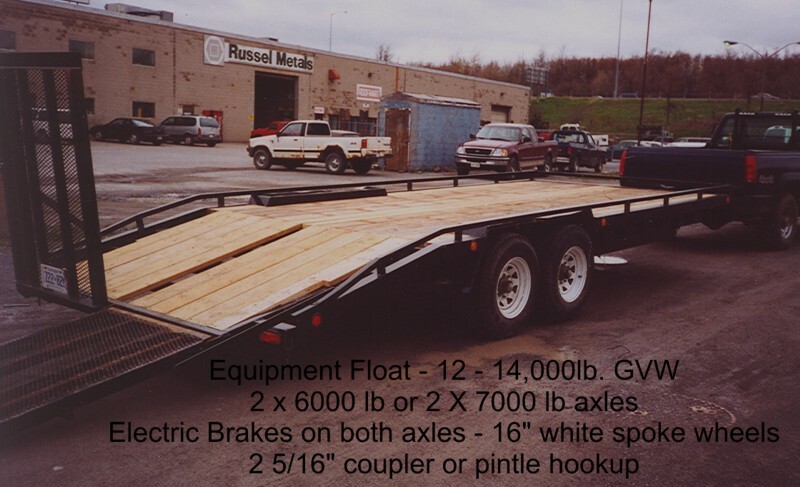 If you want a trailer that will outperform for years to come... see Chris at Curtis Trailers. Purchased a 6 X 10 Utility, extremely pleased with the excellent workmanship and the quality of the product. Searched around from Brampton to Peterborough and none can compare with the fabrication and durability built into this product. Chris's knowledge, advice and after sales support exceeds all others. Highly Recommend this dealer and the name on the trailer speaks for itself. One of the best to deal with, gives great service, and produces what he promises. Trailer construction is second to none, and that includes other trailers that are made locally. If you want the best, at good prices, see Chris. Hello, I bought a trailer from Chris about a year ago for the business I was starting up. It has come in so handy, well I am truely impressed! His quality and craftsman ship are outstanding, no one compares.I will be contacting him real soon to obtain a quote on some custom work. I do not trust anyone else, and I know he is quite capable of providing quality work one can trust in, and by the way I trust him so much I will be travelling from Angus Ont, about four hours away! We were looking for an ATV & a trailer to haul it. Chris not only advised us on the trailer & to wait to see what ATV we got, he also gave us good advise on ATVs. When we told him the multi uses we needed in a trailer, he helped and advised us from his experience and went far beyond the basics. He never pushed us, and said if the trailer was not what we wanted, bring it back & he would build us what we needed. He is very knowledgeble about all aspects of trailers and built us a perfect unit for all our uses. It rides like a dream behind our car. It is very well constructed and very reasonablely priced. We could not have purchased a chain store model, of far inferior quality & craftsmanship, at the very reasonable price we paid. He went over & above with his extras & service. We very seldon recommend anyone but we highly recommend Chris Curtis trailers. 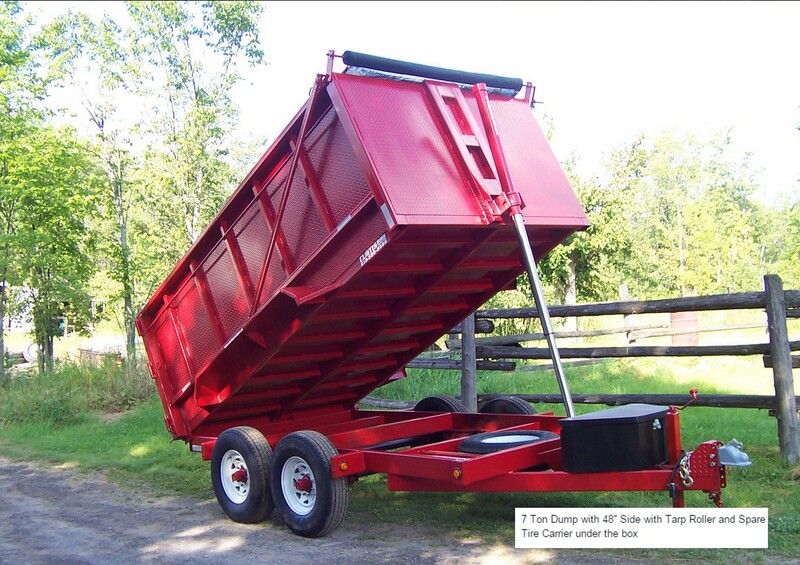 I purchased three landscape trailers in 2009 and two more landscape trailers and one dump trailer in 2010. You can not buy a better trailer for the money! 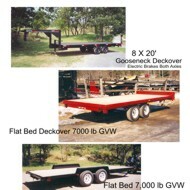 Chris Curtis makes top quality trailers for a great price. I will be a customer for years to come. Thank you Chris! Chris is truly amazing. I found him through word of mouth and have not been disappointed. He spent quite a long time designing a custom trailer that I could use with my students to haul logs. After the final design was decided on, he built and delivered the trailer on time and it was of the best quality and craftsmanship. Since then he has been great for follow up service and always is willing to go the extra mile. 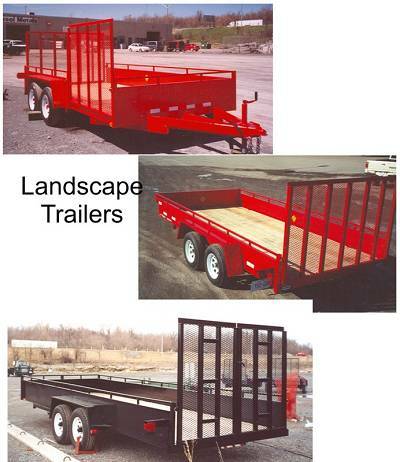 I would have no hesitations in dealing with him and would recommend him to anyone who wants a well designed and built trailer. He is a craftsman and a great businessman. Thanks Chris for everything. Purchased a Trailer from Curtis Trailer 3 year ago. So happy with my trailer. 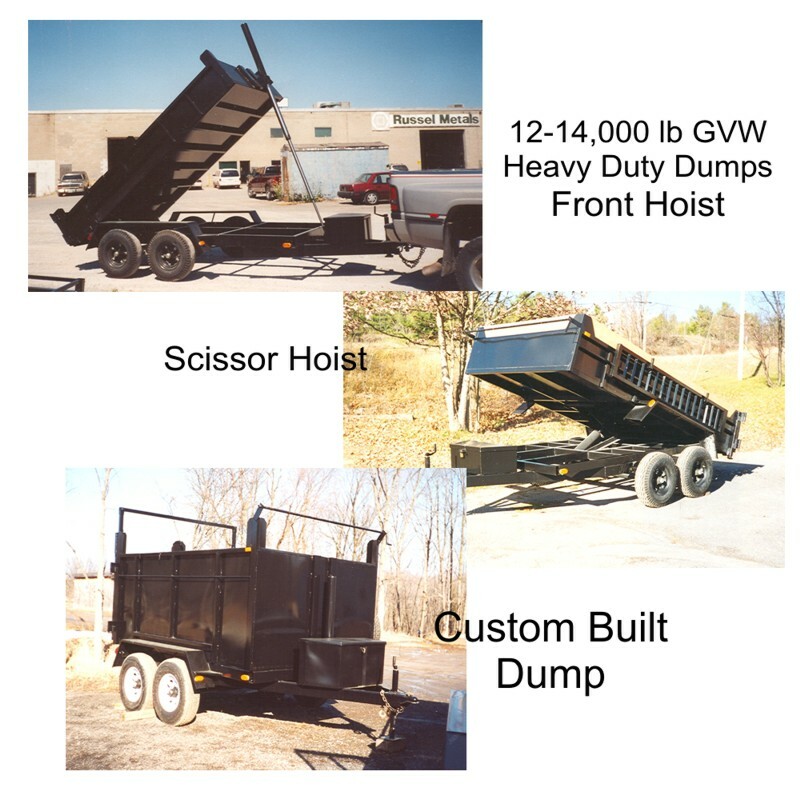 Best Part about Curtis Trailers - They are Manufactured on site and built the way you want! Had Chris Remove and Install a 5th Wheel instead of the bumper pull. Dropped off Monday and Was ready the next day. Now that is service!!! 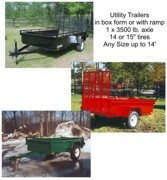 Factory Direct and Best Price for the Trailer you are getting. Thanks Chris! We bought a Curtis utility trialer in the fall of 2008 and are very pleased with our purchase. 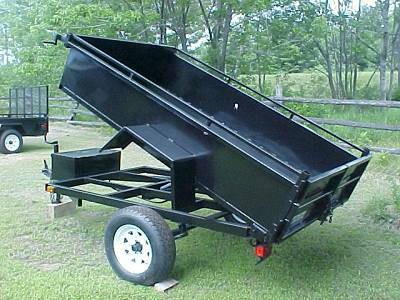 The trailer is sturdy and very well constructed. 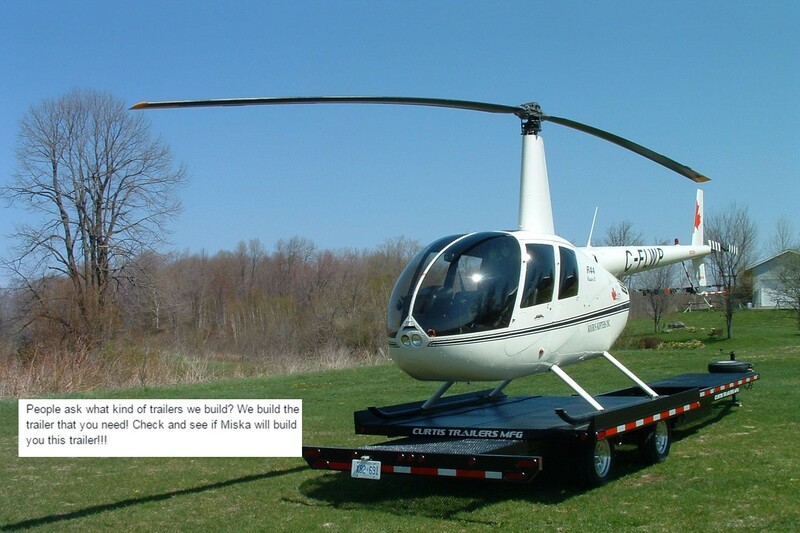 When we needed it altered for load capacity Chris had a simple solution which was done quickly and at no charge. 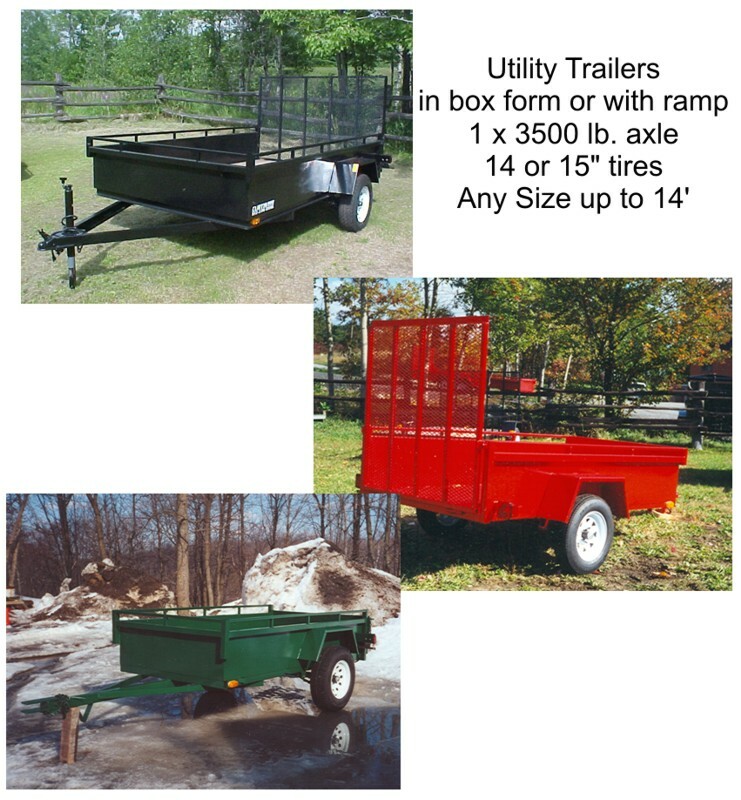 I have recommended Chris's trailers to a friend who did purchase one and would recommend them to anyone. A master fabricator...Chris has a great selection of options...if you are near Kaladar, stop in and browse the yard. Great value from a 'made in Canada' manufacturer.